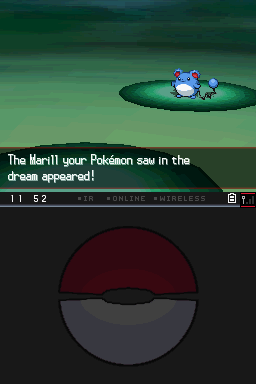 This Marill was available to be befriended in the Dream World Isle called the Pleasant Forest. 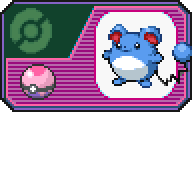 The gender of the Marill is variable, meaning players may befriend a male or female variant. or special moves either Aqua Jet or Ice Punch. till the closing of Dream World January 14, 2014.
the date of capture can literally be any date. Fair point on Aqua Jet (gen 5 Marill egg move), though it's a special move in Dream World Sense (not Move Slot A). 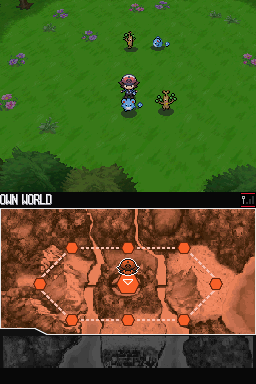 Ice Punch was only a Tutor Move in B2W2, while the Dream World's Pleasant Forest was available before B2W2's release. So at that point in time, that was the only known way to get Ice Punch. And that's ignoring the fact that it's in the nice fancy Dream Ball. 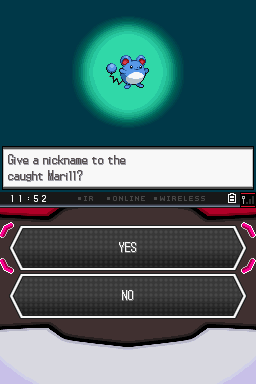 Can't breed Dream Balls in Gen 5. Don’t see focus punch anywhere in it’s Gen5 moveset, unless I’m missing something. true, Ice shard is a breeding move, however once again you can obtain it in a Dream Ball without breeding in Gen 5. I could simply not call it Special moves, but then again it’s not part of its level up moveset, so..
Edited January 8 by Hello, it's me! checked Bulbapedia, pretty sure ball passing wasn't in Gen 5.
that is the only way to get those moves early on. Edited January 9 by Hello, it's me!